I recently wrote about my order of black made-to-order black penny loafers from Vass. Unfortunately the pair ended up being too large and the otherwise great F last just not very suitable for me in loafers. After returning my Vass pair I stumbled upon Septieme Largeur's website for the first time in years and was very happy to notice they had returned one of my favorite loafer models ever into their selection. 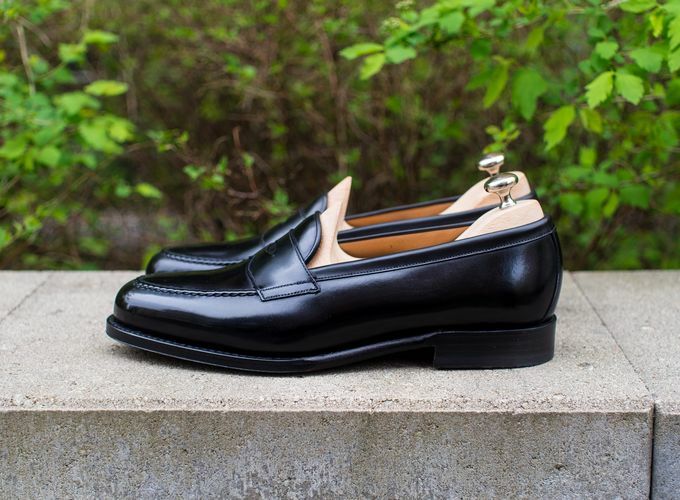 The penny loafer without any special styling features was available in black calf and the great 9095 last, last that I already have three pairs of. 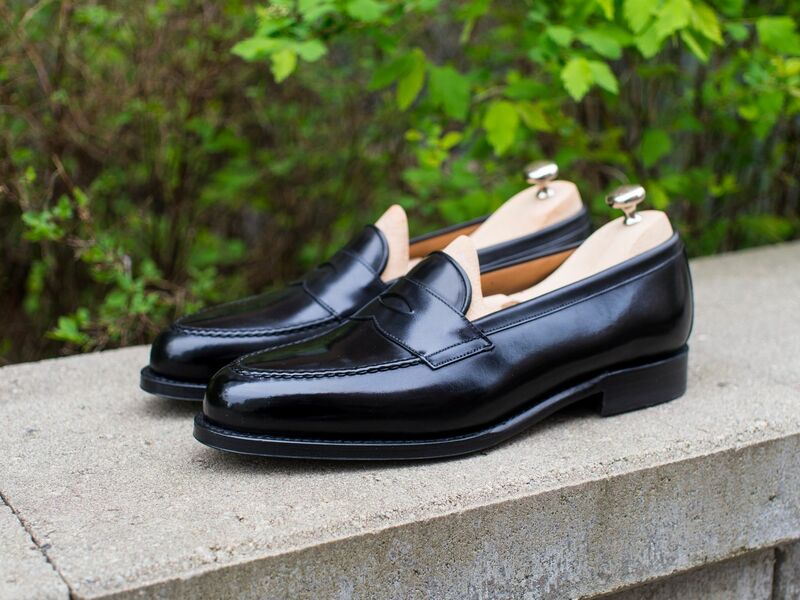 Septieme Largeur has always been a brand I like for good quality and approachable pricing, so it seemed like my black penny loafer problem was solved. As said, I have a three pairs of shoes in this last and four pairs of SL shoes in general. The 9095 in my opinion is a very beautiful and balanced classic last that resembles Crockett & Jones' 325 to some extent. Fit wise it is a lot more true-to-size though as with the 325 I had to size down. With the 9095 I am wearing my regular size UK7 and my old pairs have very much been my most comfortable pairs of loafers. 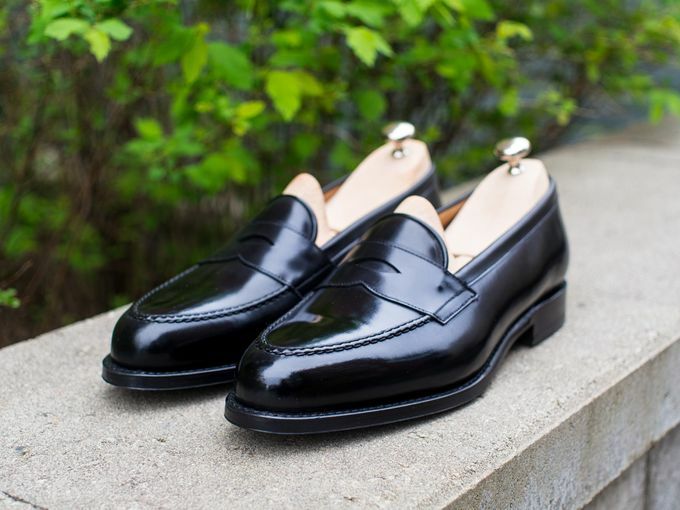 The Nicodeme, as Septieme Largeur calls this loafer, is a rather beautifully finished loafer for its price. 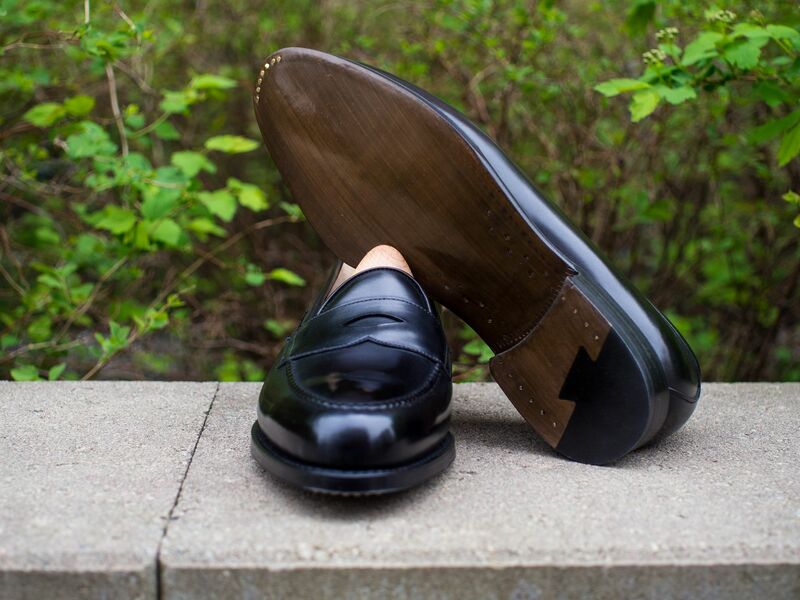 As with all SL shoes, the leather sole is painted and polished giving the less than 300 EUR shoe a nice touch. 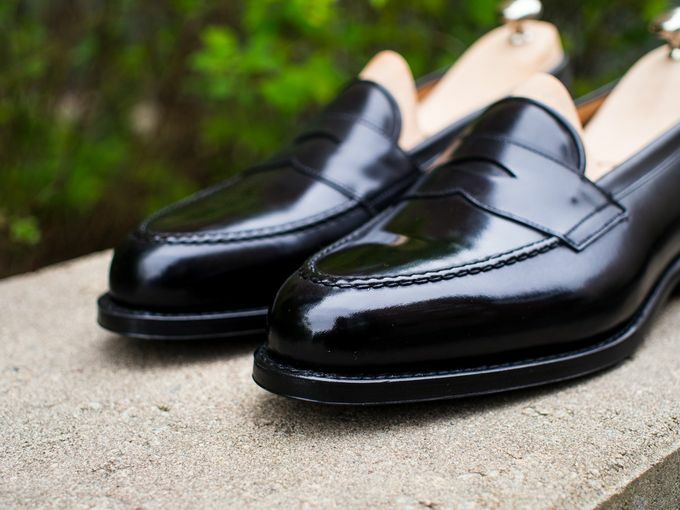 The pieces of the leather are cut quite precicely and the seams look fairly consistent, but it's still not as good finishing as you would find in true premium shoes. The leather in this pair feels ok and perhaps similar to what you would be getting on average with Carmina. My previous Septieme Largeur pairs have also been about the same with good quality and finishing for the price. In summary then, a great and a stylish loafer for a very reasonable money. 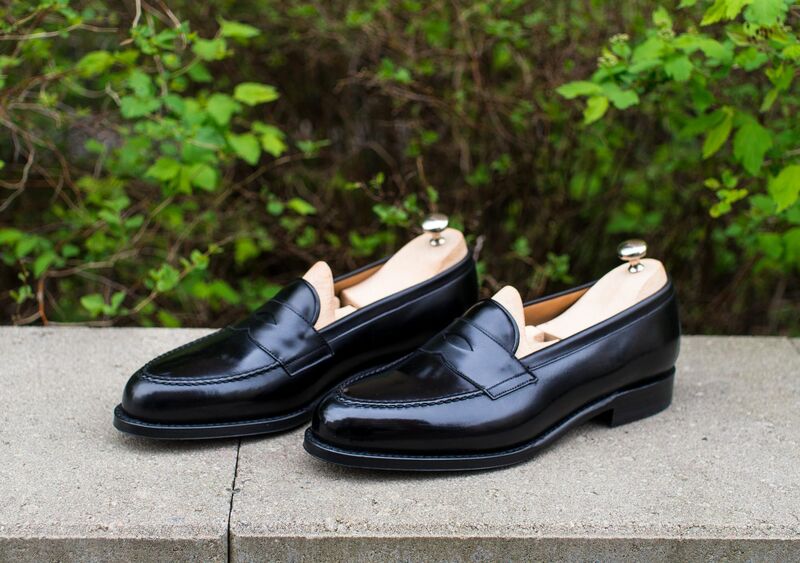 As strange as it sounds, I don't see all that many great black penny loafer options in the 300-600 EUR price range. I tried Vass, but sadly it didn't work out for me (the pair was pretty gorgeous though). I would have been interested in another pair of C&J Harvards if they were available in black Cordovan leather, but sadly they're not. I would also have been very interested in a penny loafer in Crockett & Jones' 325 last, but those don't also exist. Carmina has some pairs in the Robert last, but they're not quite what I want. Edward Green's Piccadilly in black calf is actually one of the only other options I had, but I wasn't really keen on spending over a thousand Euros in this pair of loafers. I'll keep the one post per day pace up for this week, so make sure you keep tuning in every day. Also, remember to follow me on Instagram for all the daily content that's only there.